Principal photography of the new Halloween movie is complete, as many of the cast and crew members of the highly anticipated sequel have taken to social media to say goodbye to their temporary home of Charleston, South Carolina, where filming wrapped this week. 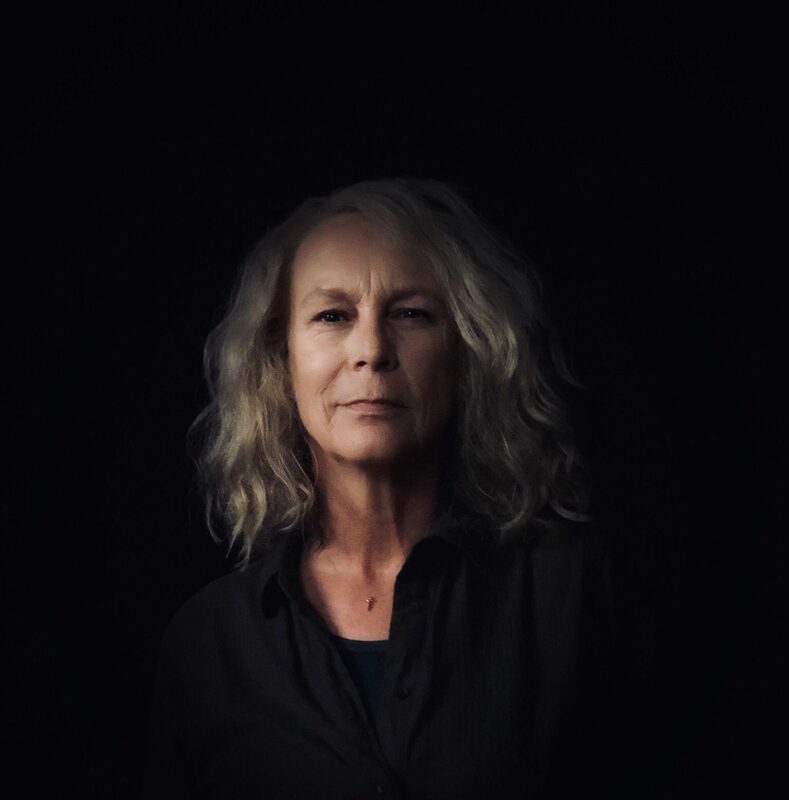 Jamie Lee Curtis and Nick Castle, who reprise their iconic roles of Laurie Strode and Michael Myers, respectively, both bid farewell via social media, with Curtis taking time to thank some of the locals she got to know during her time on set. Curtis also shared some artwork of The Shape on Sunday, announcing on Instagram, “And that’s a wrap,” sharing a portrait of Michael Myers painted by Darlene Vega. She also states, “Everybody who made the movie did so because of their passion for John Carpenter and Debra Hill’s original vision. I think you will all be very happy and VERY scared. See you 10/19/18″. In an earlier post two days ago, Curtis called the new film “terrifying”. Via his official Twitter account, Castle shared some a shot of a Myers pin on his luggage as he prepared to fly from Charleston to Charlotte, North Carolina for this weekend’s Mad Monster Party 2018. Below, you can see those messages from Curtis and Castle, as well as a collection of a few of our favorite photos that were shared from the set during filming of Halloween over the past five weeks. Also, keep watching HalloweenDailyNews.com all this week, as we have a brand new interview with Nick Castle and highlights from his Mad Monster Party Q&A coming soon. Nick Castle will also reprise his role from Carpenter’s original 1978 Halloween to once again play Michael Myers in the new film along with James Jude Courtney, who has also been cast to play Myers. The cast also includes Virginia “Ginny” Gardner (Project Almanac, Marvel’s Runaways) as Vicky, Miles Robbins (Mozart in the Jungle, My Friend Dahmer) as Dave, , and Drew Scheid (Stranger Things, The War with Grandpa) as Oscar, Dylan Arnold (Mudbound, Laggies, When We Rise) as Cameron, along with Will Patton as Hawkins, Rhian Rees as Dana, Rob Niter, Aaron Waring, and Omar J. Dorsey as Sheriff Barker. Numerous iconic locations from the Halloween franchise are now confirmed to be featured in the new movie, including Haddonfield High School, Haddonfield Memorial Hospital, and Smith’s Grove Sanitarium. Andi Matichak, Jamie Lee Curtis, and Judy Greer on the set of ‘Halloween’. Jamie Lee Curtis as Laurie Strode and director David Gordon Green on the set of ‘Halloween’ (2018). Andi Matichak, Miles Robbins, and Virginia Gardner star in ‘Halloween’ (2018).